Mack Brass will be adding the new ZO Thunderbird "Made for Mack Brass" 6/4 CC to our line up. Its been a few years since something has come out that meets my expectations and this more than does that. Videos and pics will be added shortly to www.mackbrass.com. This is not some cut down BBb to CC job but a true 6/4 based off of one of the best York 6/4 copies ever made. What makes this one special is the sound, consistancy, unreal pitch, incredible low register and great response. 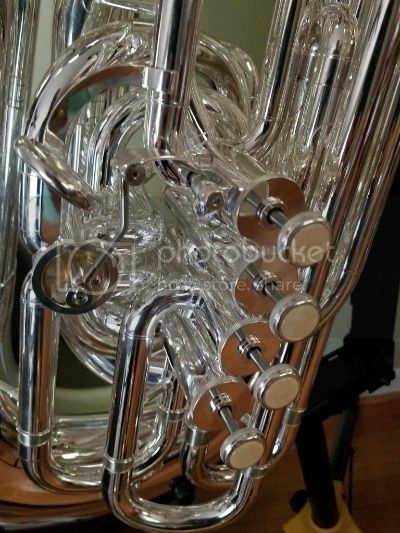 Of all the 6/4 CC tubas i have played and owned this is in my opinion the best. I know that may be a stretch so say considering some of the new 6/4 additions recently added to the market but I am saying this because i have played them all and actually purchased one for myself because it was so good. I currently have two at the moment with one still available and 5 more on order. We are offering these at an introductory price of $7995.00 in silver with free shipping. Once these first 7 are gone the regular price will be $8995.00. The tuba comes with a great hard case with 8 wheels on it for different options and ease in transporting it around. Craftsmanship is top notch and each tuba is serviced and played by me prior to shipping. The biggest issue i have always had with the 6/4 CC tubas has been the low register being very stuffy, this is not one of those. This is more like my Thor only bigger and warmer. Email me at sales@mackbrass.com for pictures or send a txt to 804-926-7707 for pictures. Looking forward to the website update, Tom. Best of luck with the roll-out! Tom sent me a couple of pics to upload, here you go! Enjoy everyone! Finally. A US distributor. These things have been pretty mysterious up until now. I notice the bell in the pic says ZO. does that mean they are not jinbao? From previous posts, I believe that ZO is NOT Jinbao. But, it's hard to know who makes what, and where exactly... but I think ZO and Jinbao are different. Zhengou (ZO) Industrial is definitely not JinBao. There's the redesigned BMB 6/4 CC as well. Mark Finley wrote: I notice the bell in the pic says ZO. does that mean they are not jinbao? I've been keeping an eye on these for a while but without seeing any of them being picked up by American distributors I was just going to go ahead and get something else. Now that these are here, I'm definitely saving up the extra money I need to buy one of these. It may be appealing to lunge towards the shiny new 6/4... But is that the best idea? bort wrote: But is that the best idea? It's easily within driving distance and if I can test it out and if I'm pleased with the build quality, then I don't see why not. Mack has a reputation of having quality instruments. The Wisemann 900 they carried was an exceptional I strument and I've never heard anything bad about their own instruments. I was going to buy the Wessex Wyvern for $6000ish because I've played it but don't have any qualms with it, but I'm also not impressed with it. Flying to see my family and test out a prospective tuba for that would be all I use for the next 30 years is more than worth it. bort wrote: From previous posts, I believe that ZO is NOT Jinbao. ZO is a totally different company. My ties with them are with my account manager who came over from Wiseman so I do have a long history him dating back several years. He knows my standards and being a new horn it took me a while to pull the trigger, glad i did. These are valid questions and really it depends on what you already have in your arsenal. 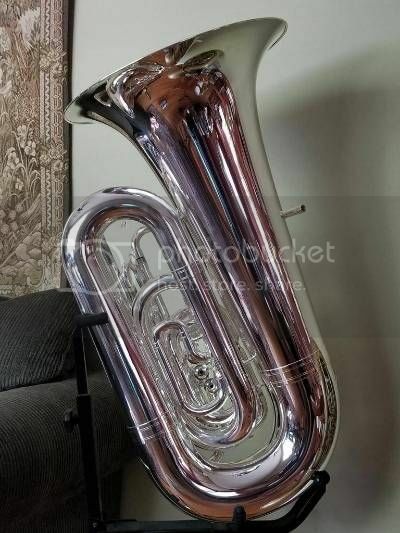 There is a place for these and i will say not all 6/4 tubas are equal as some are so nimble that you can use them beyond what they were designed for. When i was doing the audition circuit all I had was a 2165 as my main CC and and an F. I used my 2165 for everything to include twice in recital at the Army conference as well played it in Quintet. When i played From the Shores of the Mighty Pacific and The Debutant, both Clarke trumpet solos for those not familiar, on the 2165 at the Army conference in '94 and '98 if memory is correct, i thought it fit extremely well and was a lot of fun. Do i recommend these for the average college freshman? No, but then again it depends on what their goals are. Now if we delve into the question of whats the meaning of life, i think we will need another thread. I have been asking myself that question since i was 17. 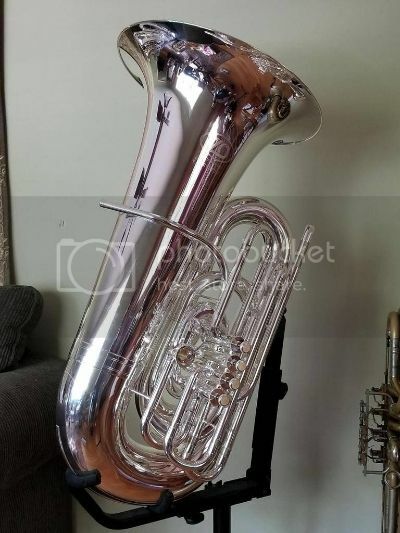 Well i did buy one of the first 5 Eastman 6/4 when they came out and its a great tuba. I only played the Wessex briefly but i can say that there is room in the market for all three. Although the 6/4 is a very thin market, as each horn offers something that may be more appealing to each player that plays them. What one person likes in one model the next 5 may like something in another model. Keeping individual tastes in mind i will say that its impossible to rank these as 1st or least favorite. There were some things i liked better in the Eastman and there are some thst i like better in the ZO. All three models, ZO, Eastman and wessex, play well in tune so after that its really up to the player to determine which speaks to them. Here is a story from last week when I was buying my first real cello, yes I am teaching myself cello in my spare time. I had someone play 6 or 7 for me with prices ranging from 2k to 15k but i listened without knowing the prices of each one so i would not be influenced by price. The cello i picked was the one that i felt had a sound that spoke to me and i got lucky as it was the 3k one, not that the wife would have allowed me to buy a 15k cello even if i wanted especially since i sound like a begininner in 5th grade. All the cellos with the exception of one new cello, were 50 to 150 years old, the one i went home with from from around 1910. After i made my choice I felt like i did get the best one in the shop as it appealed to me the most in the blind test part. 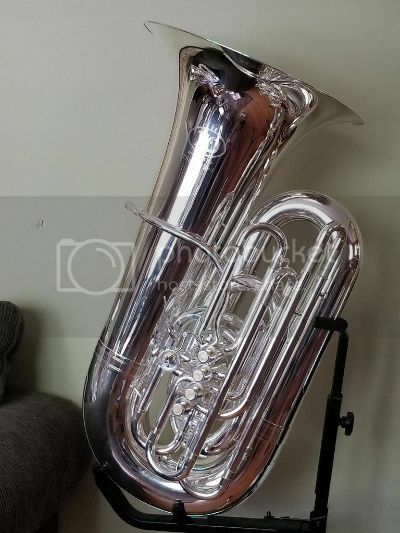 Its the same with tubas, i like Alexanders but i have been playing my Thor mostly over the past year as it has grown on me. 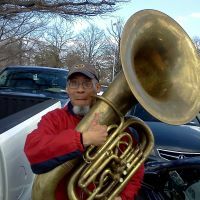 I like the older hand made B&S PT8 F tubas more than any other tuba on the market but that is just because it fits my taste. Tubas are like mouthpieces, everyone has a different feel and choice based on what fits their personality and taste. When will you have some video/audio samples of this one?